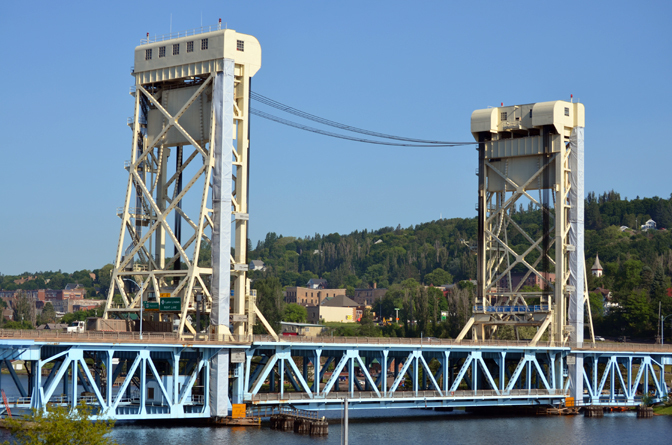 Kurt Hauglie/Daily Mining Gazette The Portage Lake Lift Bridge will be intermittently closed for maintenance Tuesday, according to the Michigan Department of Transportation. Traffic will be down to single lanes Wednesday and Thursday for cleaning of the bridge. HANCOCK/HOUGHTON — On Monday, the Portage Lake Lift Bridge was closed for maintenance, according to a written statement from the Michigan Department of Transportation. The maintenance resulted in closures Monday of up to 15 minutes from 9 a.m. to 11:30 a.m. and between 1 p.m. and 3:30 p.m. The closures could possibly extend into today, according to the statement. There will also be single-lane closures Wednesday and Thursday for cleaning and washing of the bridge.